Funeral services for Mrs. Joyce Dean Daniels of Smithville, Georgia will be held on Saturday, July 29, 2017 at 1:00 P.M. at the Green Grove Baptist Church with Rev. Hosie Waters officiating. Burial will follow in the Green Grove Cemetery. Mrs. Joyce Dean Daniels well known to us all as “Ballie” was born in Lee County, Georgia on November 4, 1947 to the late Lutherine Ware Lewis. She received her education in the public schools of Lee County. 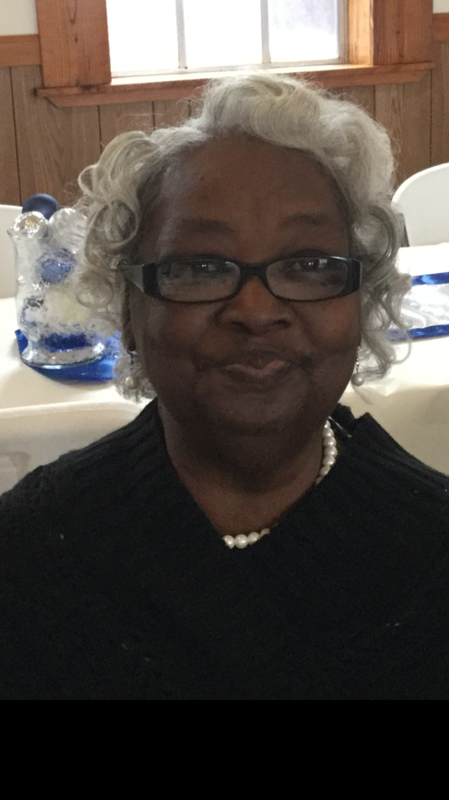 At an early age she joined the Green Grove Baptist Church where she was an active member until the death angels called her home to be with the Lord on July 25, 2017. She retired from the Best Western Hotel, where she worked as a cook for many years. “Ballie” brought joy and laughter to everyone she meet with her smile. She leaves to cherish her memories and celebrate her life; two devoted daughters Sharon Walker (Cedric), loving caregiver Constance Lewis (Alfred) both of Smithville, four sons Antonia Lewis (Danena), Atlanta GA, Timothy French, Smithville GA; Terrance French (Shanita), Leesburg, GA and Kelvin French (Christina); two brothers; Robert L. Lewis Atlanta Ga; Randolph Lewis, Smithville GA; two sisters; Jeanette Goodin (Eugene); Linda Thomas (Charlie) both of Smithville, GA; devoted friend for over 20 years, Curtis Angry; Smithville GA; 13 grandchildren, 20 great grands, many caring nieces and nephews with a host of great nieces and nephews, cousins, god children, Derek, Marissa and Darrius French, and friends including a lifelong friend, Mrs. Gussie Mae Bess, devoted neighbor, Mrs. Flossie Dodson, Willie French and the French family, Reverend and Mrs. Waters and Green Grove Church Family and Mr. Esco Whitlock. I am going to really miss my grandmother. Balle as so many people knew her by,she showed was definition of loving unconditionally through the good and the bad loving unconditionally to her was loving others more than she loved herself.. She will be greatly missed. Sorry For Your Loss My Prayers Goes Out To The Family. May God Comfort You In Your Time Of Sorrow.